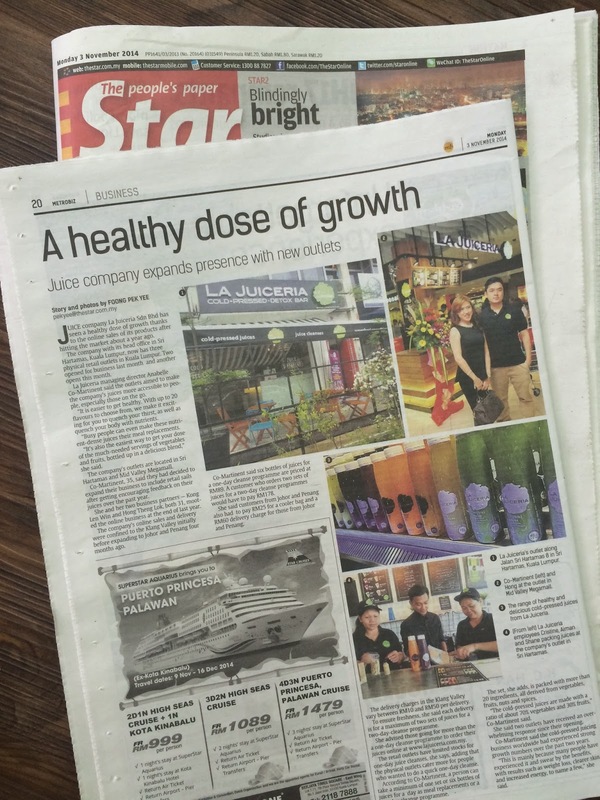 It's been less than a year old, yet La Juiceria is growing in all places and spaces ... making more Malaysians healthier by the minute. Growing from the prior online sales, it now has 2 Cold-Pressed Detox Bars ... with more to come! We are definitely happy ... especially when we hear all the positive feedback from our customers. The feedback ranges from weight loss, better digestion, controlling food urges, better and glowing skin, healing eczema, fighting off insomnia, flatter tummy, detoxing & recovering from a prior medical condition, relieve constipation, mental clarity, and much, much more! KL customers keep coming back -- simply because they feel great after taking the juices. Every day is an interesting day at La Juiceria. We never know who is going to pop by. Ranging from Malaysians from all walks of life, royalties, movie stars, expatriates, and many more. It's still a new thing in Malaysia -- and we are yet to educate more people about Cold-Pressed Juices and its benefits. One thing is for sure: we all know we need to consume vegetables and fruits. The easiest way to do that is through juicing. 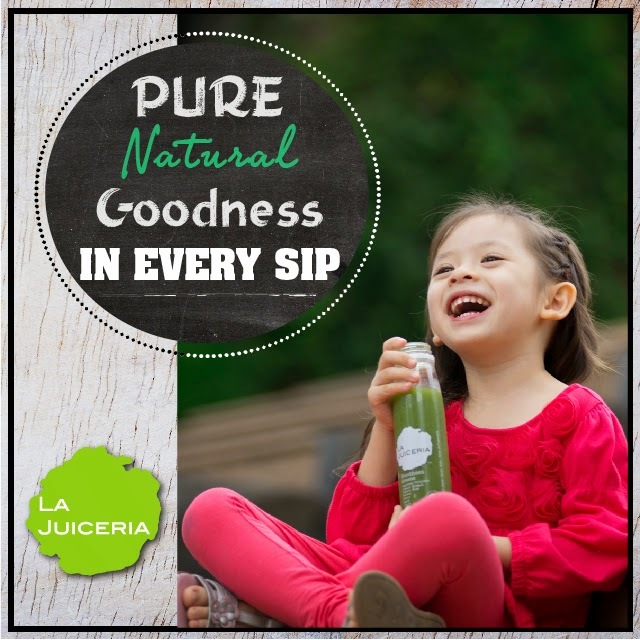 And with the Cold-Pressed Technology, the juices retain its nutrients and enzymes, which allows your body to take in nutrients and feel great afterwards. No additives nor preservatives. Just all the goodness from nature! I always tell customers -- beware of juices that are too sweet, already pasteurized and have been in shelves for more than a month or two! How can these juices provide health when it has been 'cooked' and sweetened and preserved? Those that are on supermarket shelves for many months, how can it provide the 'live' enzymes that the body needs? With the Detox Bars up and running, people can now drop by to get a bottle or two for their daily needs. 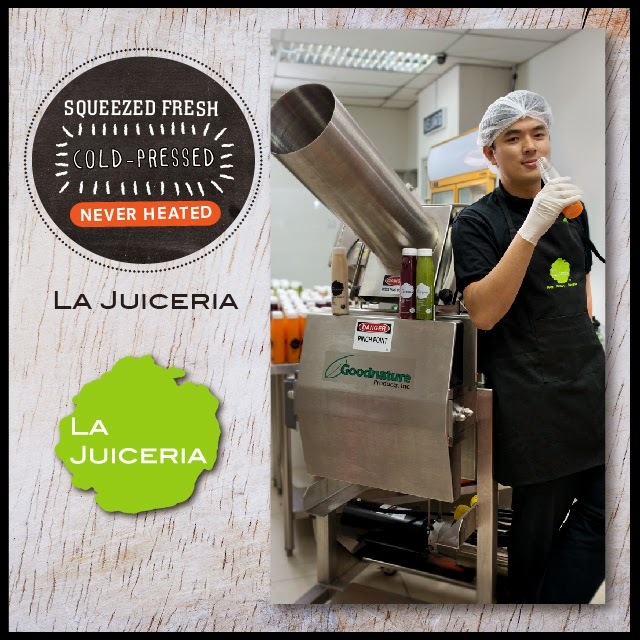 In line with the growth of the Detox Bars, La Juiceria imported several new Cold-Pressed machines to cater to the growing demand in Kuala Lumpur. The juices are meant to be enjoyed as a beverage, taken as part of a healthy diet, or for people who want to detoxify -- they can go on a Juice Cleanse (juice feasting) from 1-10 days. For those who want to get advice from the La Juiceria Nutritionist, they can email nutritionist@lajuiceria.com or sms +6018-2237755. Or call their office 03-2857-7136. Their juices are raw and unpasteurized. No preservatives. No additives. All the ingredients are written out on every bottle. What you see is what you get. No nonsense added inside. One of the frequent reminders we give customers: you need to REFRIGERATE immediately. Why? The juices have no additives, no preservatives. The enzymes inside are still alive. They need to stay in a cold environment at all times, else it will turn bad or spoil easily. A true proof that nothing else is added. Just pure natural ingredients. Even kids love it! My daughter started drinking Green Juices since she was 3 years old. Now she loves all the La Juiceria juices! One of the Cold-Pressed machines that La Juiceria is using at their Central Kitchen.